Click for a larger image. Happy Memorial Day! 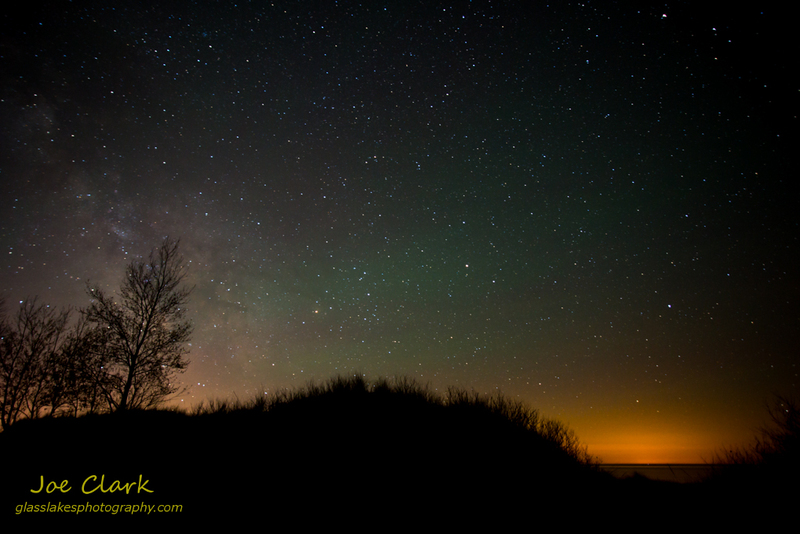 The stars show brightly through the light pollution over Ludington State Park. The light from Wisconsin reflects off of the clouds and Lake Michigan in the distance. This image and others are available in the gallery. Stars and light pollution over Ludington State Park.